Being our most renowned service, brick pointing is essential for both newly constructed and older brick walls. Ensuring your property will look beautiful for decades. Brighten up your home and make it look brand new with MH Restoration power washing services! No project too big or too small, MH Restoration does it all. Let us know your needs and contact us today to help restore the look of your business. 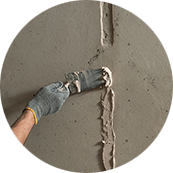 If your building is dealing with wet spots and/or leaks. It is very likely your are in need of our services. We are New York's top brick pointing company and have been contracting our services for over 25 years! We are licensed, insured and certified in all of New York including NYC, Brooklyn, Queens, the Bronx and more. Our customers are always entitled to a FREE ESTIMATE and our prices are always economical. For over 25 years, we’ve been serving all of NY with exceptional services other than brick pointing as well. Including but not limited to commercial roofing, power washing, parapet wall work, stucco repair and more. Our company is fully licensed and insured for all of the work we do and strives to provide the greatest peace of mind to all of our customers. Being our most renowned service, brick pointing is essential for both newly constructed and older brick walls. This repair eliminates the possibility of any leaks in your brick walls while making them look as if they were just installed. 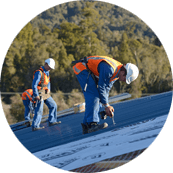 Protect your commercial building from the elements with a brand new roof installed by MH Restoration. Our team can also repair your current one if you’re dealing with frequent leaks that are coming from it. 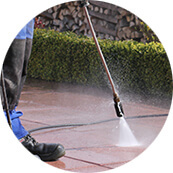 Ensure that your home or business’s exterior is fully clean with our power washing services. The job will be handled by a professional who will adjust the settings and technique for each specific material that’s being worked on. Adding a parapet wall can enhance the look and safety of any building. It’s also a necessity for some buildings to successfully meet code. MH Restoration has all the skills needed to create new parapet walls and repair existing ones. Welcome to MH Restoration. 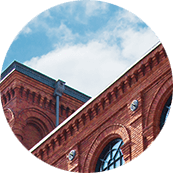 For over 25 years, we’ve been serving all of New York City with exceptional brick re-pointing, flat roofing, brick cleaning & washing, parapet wall work, and more. Our company is fully licensed and insured for all of the work we do and strives to provide the greatest peace of mind to all of our customers. We specialize in both residential and commercial services to meet the needs of all of our customers. 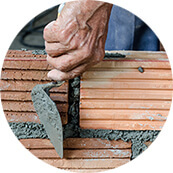 Each job incorporates the finest quality materials and resources available in the industry. When you work with us, you’ll discover for yourself why we stand out as one of the finest contractors in the local area. In addition, we always consider the comfort of our clients, as well as the worth of their homes and possessions. Our work is carefully accomplished with the utmost respect for their properties. No longer will you have to worry about hiring multiple contractors for all of the work you need to have done in your home or business. MH Restoration has a full list of services available to meet the needs of all of our residential and commercial clients. Many customers who initially choose us for brick pointing, our most coveted service, eventually go on to call us for services such as power washing and window sill replacement too. All of our projects are carried out with some of the greatest expertise that you can find locally. We’re here to restore your home’s condition by enhancing its appearance and blocking out leaks. Furthermore, our company stands by reliable, honest transactions every time. We go over the entire process with every single client before we begin the job, ensuring that there won’t be a single surprise at any point during the project. This attitude has enabled our customers to trust us again and again for all of the services they need to have done. To receive a free estimate for any of our services, please get in touch with us today. We always provide our clients with thorough work that never misses a single detail. That’s how we’ve become known for delivering quality labor any time we perform one of our services. MH Restoration provides free estimates for all jobs. No job is too small or large for us. © 2019 MH Restoration. All rights reserved. | See our sitemap.